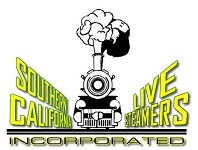 Birthday Trains | Southern California Live Steamers, Inc. Check the calendar to make sure that the trains are running on the day of your event. Regularly scheduled public run days are on the 1st Sunday and 3rd Saturday of the month unless pre-empted by a special event that requires tickets.